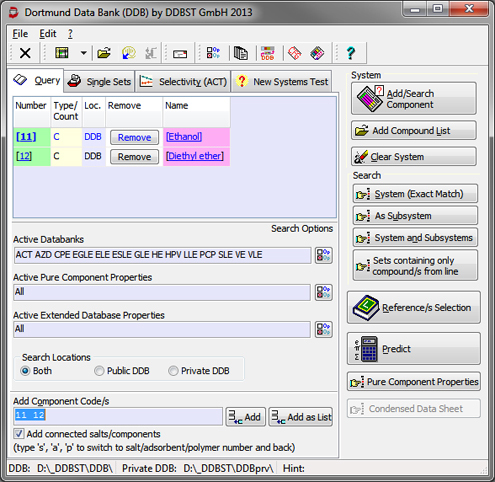 This essential component of the Dortmund Data Bank Software Package (DDBSP) provides data storage, data input editors, retrieval, graphical representation, import/export for all data banks including complete data directory and demo versions of all non-licensed data banks. 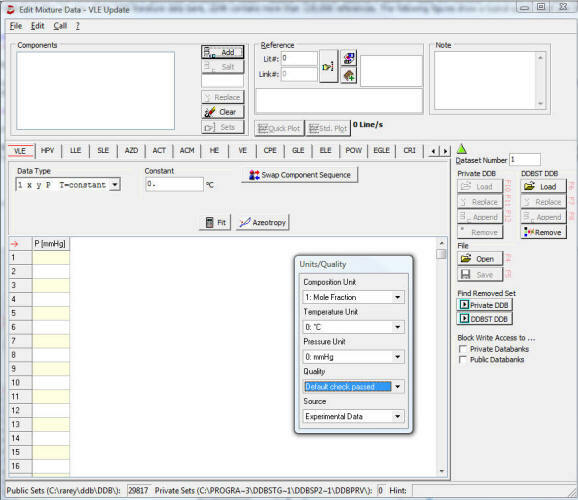 It allows to build up in-house literature and experimental property databases as all software tools used at DDBST for input and data test are included. Private data banks can be used from any number of computers as long as these have access to a valid software license. Access to the data can be restricted to individual users and groups. 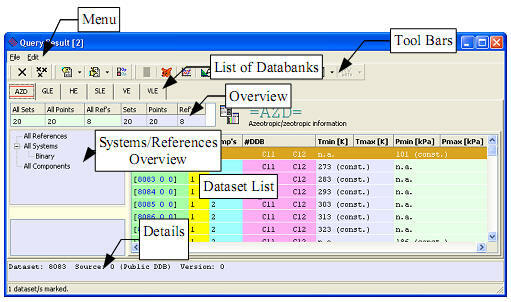 The program Dortmund Data Bank allows to search for experimental data for specific mixtures or literature references. If the Predictive Methods Add-On is available, data can also be loaded from model predictions. 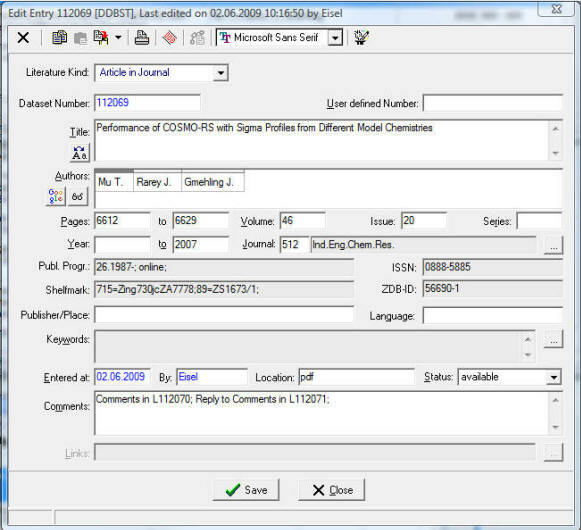 A large part of the functionality of DDBSP can be called from other programs via the COM interface. 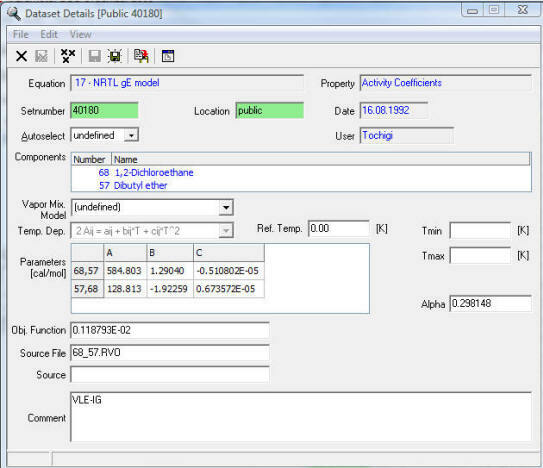 It is thus simple to select compounds from Excel using the standard compound selection dialog of the DDB and to import the different pure component properties for user specific calculations. Artist property estimations for all properties and models are available via simple calls from e.g. Excel VBA.